In addition to the transfer methods I described in the last post, I wanted to test a few methods that don’t require any sort of special equipment. 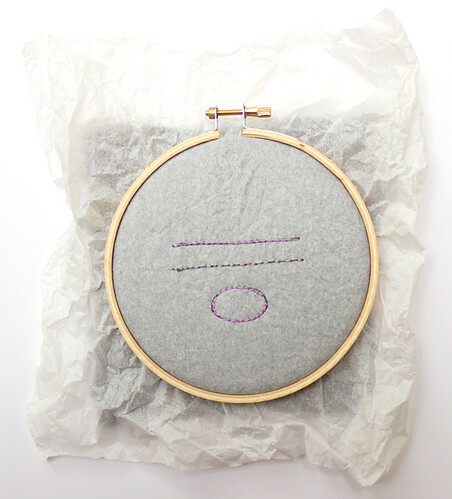 Sometimes, you just want to get started on a project without a trip to the craft store or a long wait for supplies you order online. These two methods can be done with common household items. You can use a regular graphite pencil to trace your designs. This works best with softer lead, like a #2 pencil, but the graphite is very difficult to remove from the fabric. I wasn't able to find a method that completely erased the lines, but a [kneaded gum eraser http://www.amazon.com/Sanford-SAN70531-Design-Kneaded-Eraser/dp/B00006IFAJ/] managed to lighten them pretty well without leaving behind any eraser residue. All other erasers I tried left a bigger mess than I had started with, and water didn’t remove the graphite at all. This method doesn't require any special equipment. You can find a pencil just about anywhere. As long as you use a sharp pencil, this will give you a tight line that stays put for detail work. The pencil doesn't wash out entirely. 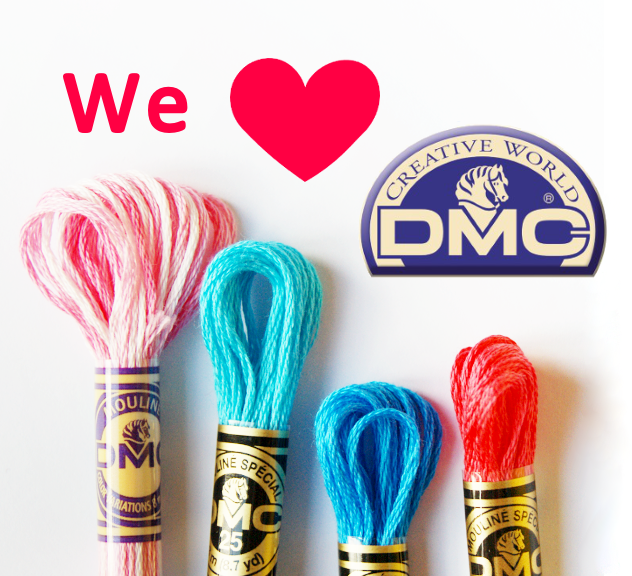 You need to be conscious of this in choosing your stitches, since stitches that do not cover the line, such as running stitch, will allow the pencil to show through. I'd recommend testing your stitches on a small scrap of fabric to ensure that you like the final result. For instance, the pencil under the running stitch in my sample hardly shows at all. If you make a mistake in tracing your design, you will need to cover up the extraneous marks with stitches, as you won't be able to erase them. 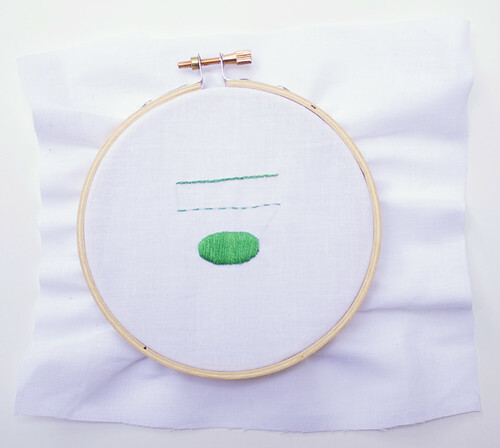 If you don't want to transfer your design directly to the fabric, you can also draw out your design on tissue paper and then stretch that in the hoop with your fabric. I just used regular tissue paper that was left over from wrapping a birthday present. When you're finished stitching, carefully tear away the tissue paper. The stitches will perforate the tissue paper, giving you an easy way to tear it away from the stitches. You can use small scissors and tweezers to remove any stubborn bits of paper. You can use this method for any fabric type. I used it for black felt, which is very difficult to transfer designs to, and I think it would work well for some crimson velvet I have in my stash as well. 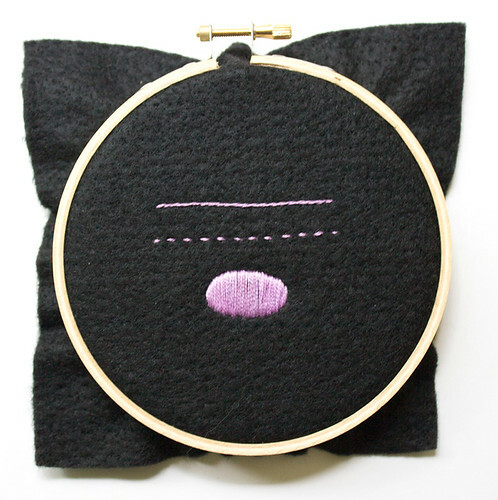 This method requires an extra step for some fill stitches. Since I didn't want any bits of tissue paper left under my satin stitches, I first traced the shape with a split stitch, then filled in the area with satin stitch after I removed the tissue paper. 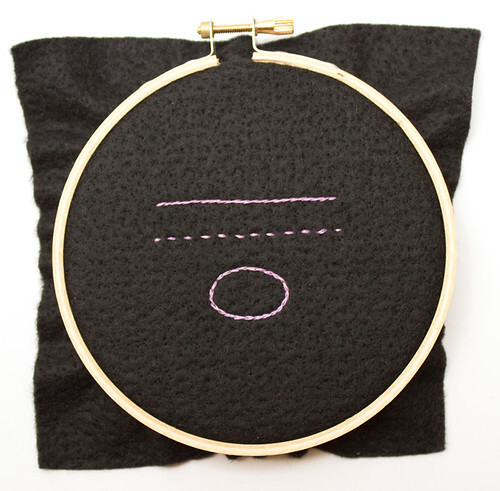 This is a good method for satin stitch as it helps define the edge of the shape, and I found it particularly useful on the felt since it is difficult to embroider felt with precision. It takes a little more time, but it gives a very nice result. Since you aren't transferring the design directly to the fabric, you need a way to affix the tissue paper to the fabric. 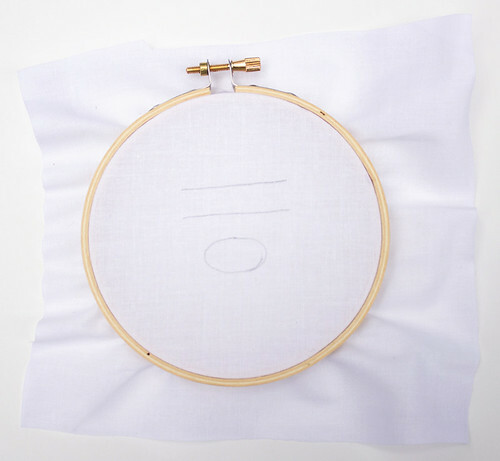 For a small project, simply stretching the paper in your embroidery hoop with the fabric works well. 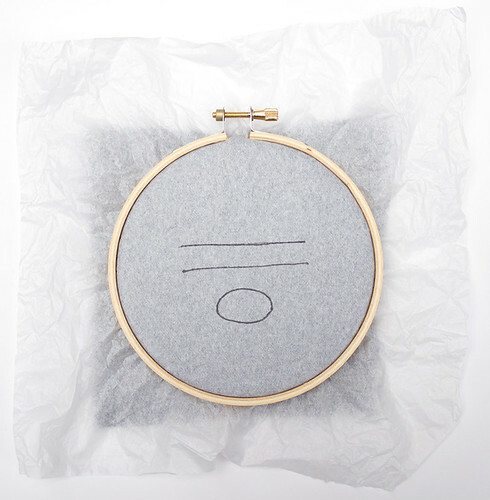 For larger projects, you could use pins or basting stitches to hold the tissue paper in place. Thanks so much for exploring these methods for us, Cate! Do you like to use a completely different method to transfer patterns to fabric? Let us know in the comments!